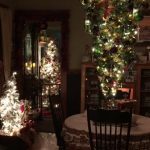 To learn more about the History of Christmas Cards we have to understand that Christmas cards are without a doubt the most sent greeting of the year, a tradition that is common in nearly all cultures that celebrate Christmas. However, by the time they became popular that greeting cards already were common, the Valentine’s Day greeting came long before the Christmas card. It can be traced all the way back to the 1400s. Whereas the first commercially produced Christmas Card was created in 1873. The first official Christmas card was first sent in 1843 in England and it depicted a family in a cosy setting drinking wine, which you can see above. The first Christmas cards rarely had Xmas as a theme on the card. Instead they focused on the coming of Spring and showed pictures of flowers, animals and children. 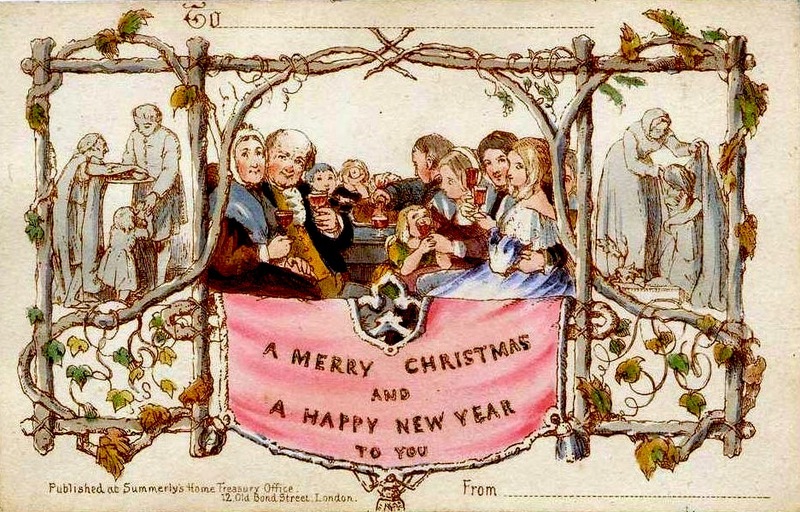 The British Royal family also began sending out Christmas cards in the 1840s. Within it, Queen Victoria focused on the things that had happened in the family the previous year and usually showed a drawing of the Royal Family celebrating the holiday. The Christmas card quickly became very popular in various circles in Europe. 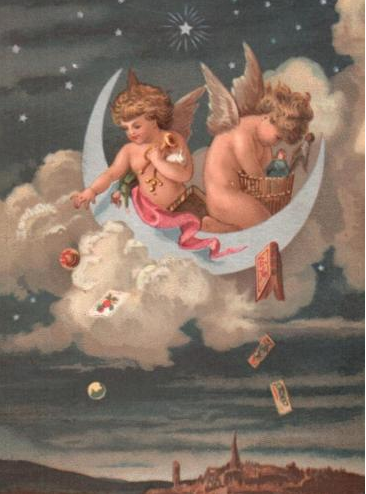 For more than thirty years, Americans had to import greeting cards from England. In 1875, German immigrant to the U.S. Louis Prang, opened a lithographic shop with $250, and published the first line of U.S. Christmas cards. His initial creations featured birds and flowers, unrelated to the Xmas scene. By 1881, Prang was producing more than 5 million Christmas cards per year. A few years later Prang was producing over 5 million Christmas cards for the USA. Antique Prang Cards are collectable and rare, like these beautiful options available from eBay. Although modern vintage-style Christmas Cards are just as beautiful and obviously less expensive. Today, Christmas cards come in all shapes and sizes — from small and simple to big and colorful. 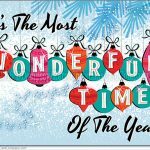 The big American producer of Christmas cards, Hallmark, employs a whole army of Christmas card designers who produce new Christmas cards every season. The most popular cards are the old fashioned and nostalgic ones with sledges and pixies, and a big, chubby Santa Clause in a red and white coat. The history of the Christmas card is an important milestone in nearly all cultures that celebrate Christmas, and has been a colossal success since then. Unfortunately, today the card has undergone a change and there are actually sent fewer and fewer traditional Christmas cards sent each year. eCards and emails are replacing traditional Christmas greetings. To encourage the tradition and history of Christmas cards to continue we offer free downloadable, printable Victorian-style cards which you can send your loved ones. 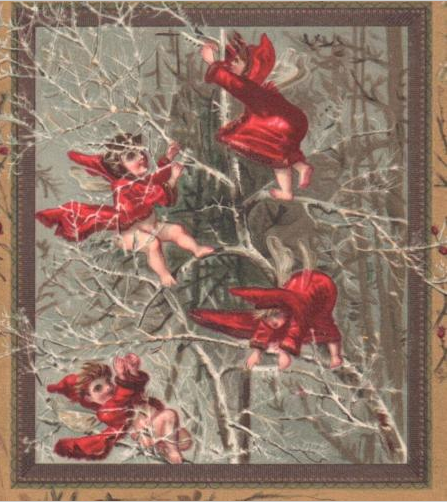 Visit our Free Victorian Christmas Cards page to download, print and share these treasures. 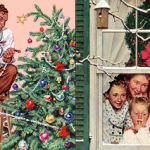 Know more info about The History of Christmas Cards, share on our Forum or comment below!